– We will also be closed all day on Wednesday, January 1. Thanks for your support! 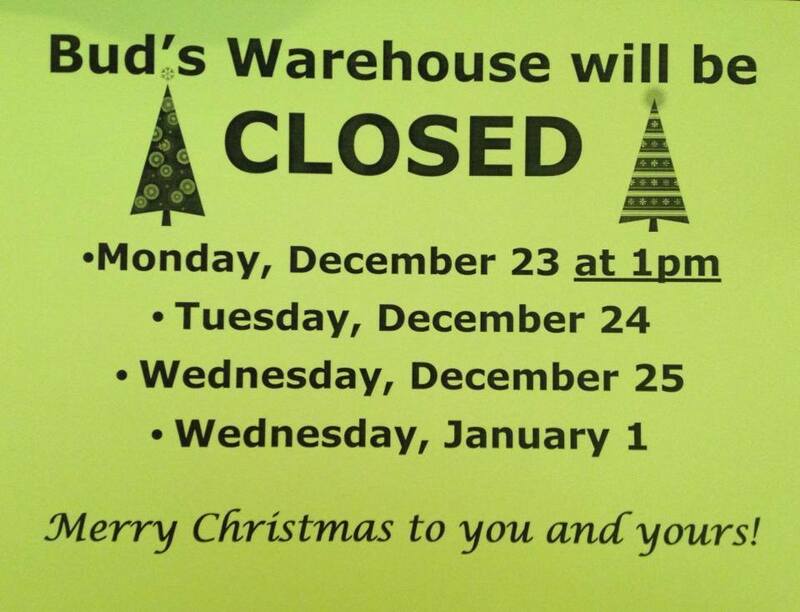 Merry Christmas from everyone here at Bud’s Warehouse.